Understanding Mental Illness: What does an employer need to know? 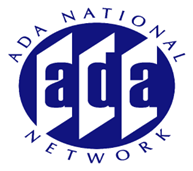 The ADA is a legal obligation which HR managers,employers and covered entities must adhere to. Many educational sessions focus on the "how to accommodate" or "what an employer can and can't do under the ADA". Few programs provide employers with the information that they need to understand the types of disabilities that they may encounter with their applicants and employees. Mental illness is one of the most prevalent disabilities in society yet it is also among the most misunderstood. Join this session to learn more about mental illness and the impact that it can have on the lives of your employees. Enhance your understanding of the impact that mental health issues can have on the individual and in turn the workplace and strategies for creating a workplace environment that is supportive of all employees.